I can’t confirm Bloomberg’s report that the the U.S. Federal Trade Commission and Justice Department allegedly are beginning a joint investigation into Google’s Android licensing agreements. But I can explain what it means. Striping to the bones, from an antitrust perspective, there are two pivot points: Monopoly position and exclusive contracts. Then there is the broader regulatory agenda: Correcting (or preventing future) consumer harm. Globally, Android is unquestionably a monopoly in the market for smartphone operating systems. However, its dominance in the United States is comparably muted by competition from iPhone. Based on smartphone subscribers, Android’s share was 51.4 percent for the three months ending July 31, 2015, according to comScore. iOS ranked second with 44.2 percent. By cell phone manufacturer, Apple leads the market, with the same share, followed by Samsung (27.3 percent). Android is leading but declining—down 0.8 points, while iOS is up 1.1 points, from April to July. I intimately covered Microsoft’s U.S. antitrust troubles from 1997 through the judge’s final decree at the end of 2002. Legal experts and others more directly involved in the case agreed on at least one thing: Attorneys general for federal and state governments might never have brought the case(s) if not for exclusive agreements that Microsoft imposed on its manufacturing partners. Keyword: Exclusive, and the deals favoring the software giant’s products and services (like Internet Explorer) over competitor’s wares. Exclusivity that shut out competitors caused consumer harm, trustbusters reasoned. If there is a problem for Android and Google, licensing terms will be the big thing, I predict. Android is really two operating system. There is the open-source version that anyone can adapt, and there is the other that Google directly licenses which has strings attached. Stated differently: The search and information giant imposes restrictions, with respect to carrying its apps and services. This is why, for example, you don’t see Google apps on Kindle devices. Amazon uses open-source Android and customizes for its customers—something it couldn’t do the same way licensing the other Android. That customization includes Amazon’s own app store, rather than Google Play and Play services. The point is important. Years ago, one legal academic, in describing to me the Microsoft case and the challenge facing government lawyers, likened competition law to the Stanley Cup playoffs. Referees are more likely to allow rough play rather than interfere. U.S. antitrust enforcement is similar, he said, and that’s different than regulations in Europe, which protect competitors alongside consumers. Here, preventing consumer harm is the larger objective, where competition often proves to be the best remedy to one player’s bad behavior and encourages increased innovation that brings consumers good. So the question: Are consumers robbed of choice that causes them harm? The answer relates to what I perceive as Google’s primary motivation for the current licensing arrangements. Android is a hugely fragmented operating system because Google doesn’t control platform updates. The company lets cellular carrier and manufacturing partners choose when, or if, to dispatch Android version updates. By the way, that demonstrates how much freedom licensees have—to control the experience for their customers, even if it hurts the platform they provide. Fragmentation is worse than bad. Google reports (consolidated) six different platform versions in use, for the 7 days ended Sept. 7, 2015. The newest, Android 5.x (aka Lollipop), which released a year ago, only accounts for 21 percent of the global device base. By contrast, Apple reports that as of Sept. 19, 2015, 52 percent of iOS 9 devices are on the newest version released three days earlier. Before autumn 2010, when Gmail appeared in what was then called the Android Market, Google apps updated with the operating system. It could be argued that binding the company’s apps, including the source (Play) of them for all, limits consumer choice. Google transcends the worst of fragmentation’s limitations by separating its core apps from disparate Android version distribution, which includes the Play store and the source of apps for all. Related: Play services, which third-party apps can tap, too. Unbundled Google apps and availability of the Play store and services diminish many of fragmentation’s worst negative effects and keep older Android versions more current, which helps to unify an otherwise disjointed end user experience and broaden the choice of apps from all developers. Something else: Consumers are not bound to the Play store. In Android’s security settings, users can choose to “allow installation of apps from sources other than the Play Store”. They can choose, even if Google imposes other restrictions on its OEM partners. And if the role of the DOJ and FTC is to prevent consumer harm by ensuring users can choose, where’s the harm in Google giving them choice? Let’s look at the competitive landscape, using other data. Across the pond, Android commands dominant position in many countries. For example, the mobile operating system’s smartphone sales share, as of July, according to Kantar Worldpanel was: 69.6 percent in France; 73.7 percent in Germany; 54.4 percent in Great Britain; 72.5 percent in Italy; 76.6 percent in Russia; and 89.4 percent in Spain. United States: 65.6 percent. The U.S. figure shows overwhelmingly dominance, by another measure, and perhaps even a monopoly. Monopolies are not illegal in the United States, just the abuse of their power. 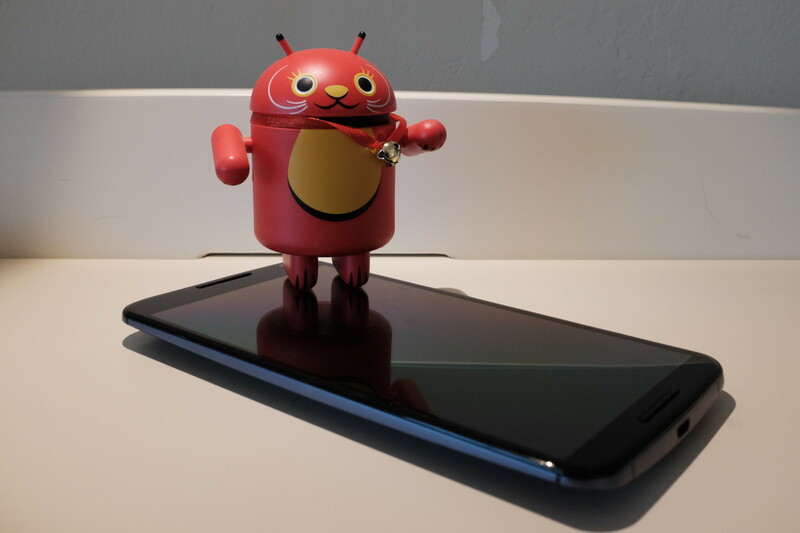 Are consumers more harmed by Android’s leading position or by fragmentation? Google licensing policies seek to diminish fragmentation, while increasing choice of apps (its own and others) across disparate Android versions. Apple presents competitive alternative from a unified base, as the majority of users typically adopt the newest and safest iOS version. Consumers have another attractive platform choice. By contrast, Android users get something less and quite possibly are harmed in the process. Fragmentation hinders choice and increases security risks presented by consumers running outdated Android versions and choosing to download apps from unmonitored sources (meaning not Google Play). From that perspective, it could be argued that Google causes more consumer harm by not imposing more control over Android with its licensees.